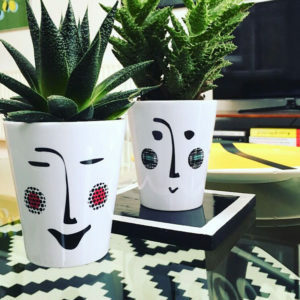 You’ll put a smile on your face or others with these cheeky, animated quirky ceramic plant face pots and plant fruit pots that will brighten up any garden, living space, bathroom or windowsill. 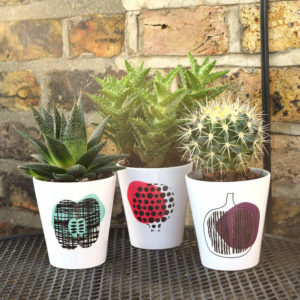 Ideal for summer and spring these fun pots are sure to compliment any interior. Great for those with a green thumb and for bringing the outdoors indoors! 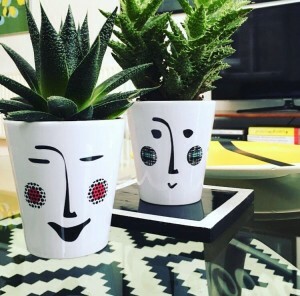 The faces on the face pots are black and white with a choice of three bright cheek colours to compliment the design. You can view these by clicking on the image below to view the pots and specifications. 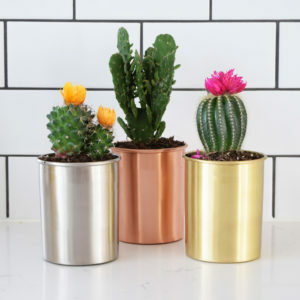 We think these plant pots would make a great home for house plants such as cactuses, spider plants, herbs and many other small plants. We also sell similar style plant fruit window pots that are available in three designs: Apple, Pomegranate & Plum. Be sure to view these by clicking on the images below. Mix and match with our different colours and designs to create a unique pot assortment. This entry was posted in Home Decor, Garden Decor, Exterior Home Decor and tagged plant pots, ceramic plant pots, garden accessories, unusual gardening gifts, garden plant pots, herb planters, external, colourful, colourful home decor, cearmic on 25th July 2016 by admin.